A hospital can attract more patients and stay in the competition only if it takes care of all the needs of the patients along with having great medical facilities. So how does the hospital head know if the patients are really satisfied with their services? Since they cannot reach out to every patient and talk to them about it, survey templates are often conducted. A patient satisfaction survey Questions is a questionnaire that is made for the patients of a hospital to answer before they leave the hospital to check if they’re okay with the services provided. Hospitals have conducted and relied upon such surveys for years to connect with their patients. 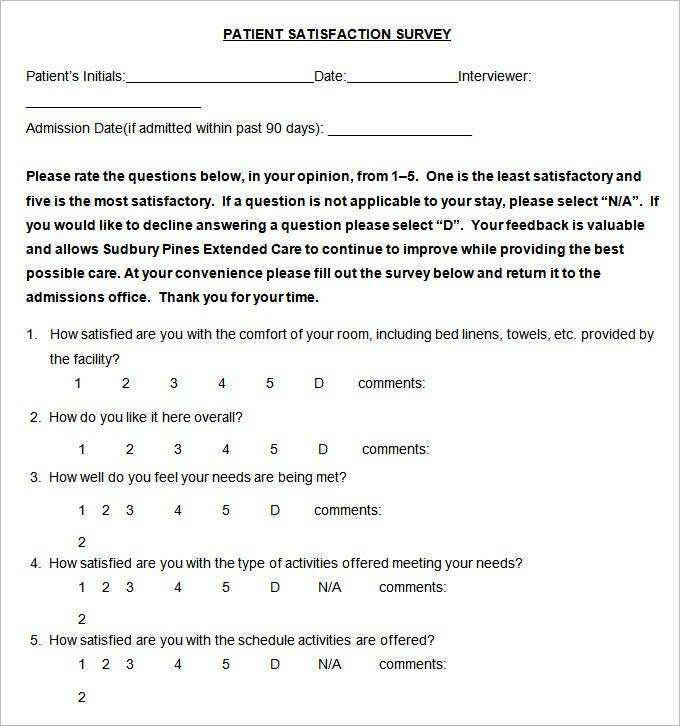 The Patient Satisfaction Survey Template enables you to measure your success and maintains a record of feedback provided by patients who has taken medications or other services at your hospital. All of these templates can be easily customized and used for collecting patient’s details, their experience with the treatment, feedback about doctors and facilities, and many other things that can help in making a better image of your medical institution in the market. Since reaching out to every patient and their families can be quite difficult, the Patient Visit Survey Template enables the hospital staff to schedule the next visit of the patient. 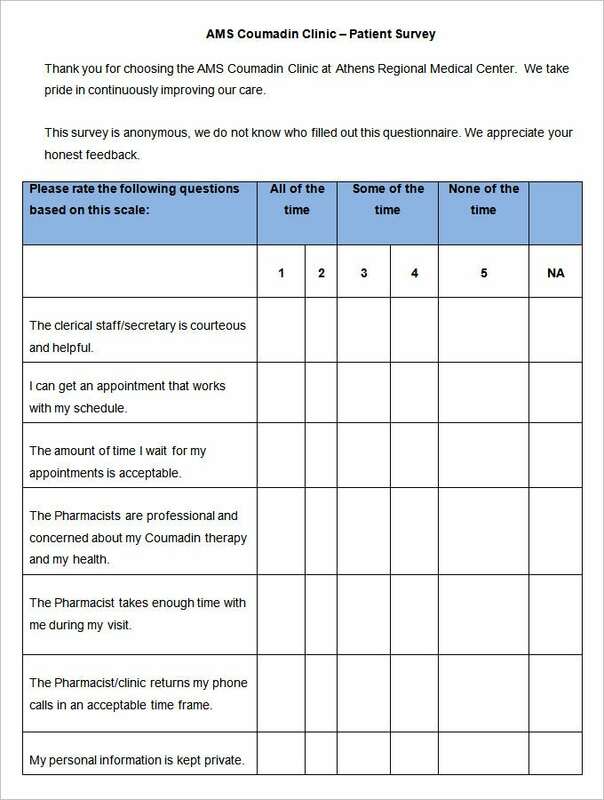 Adding this template to the next visit documents can help you get exact and accurate feedback of patients when they visit next time to meet the doctor or make any changes in their prescribed medications. 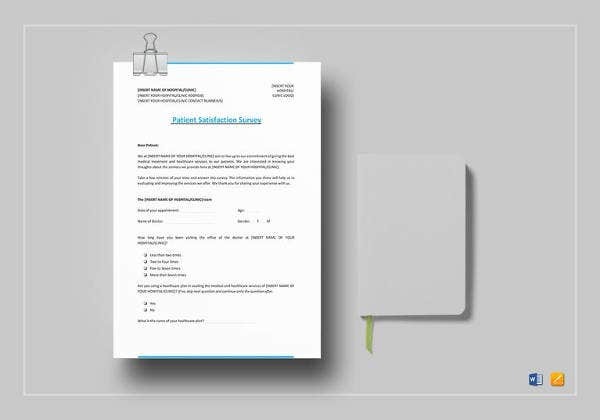 The Patient Satisfaction Questionnaire template reveals a list of detailed basic health care questions for new as well as existing patients to help in collecting their feedback about your hospital, its staff, and the services. 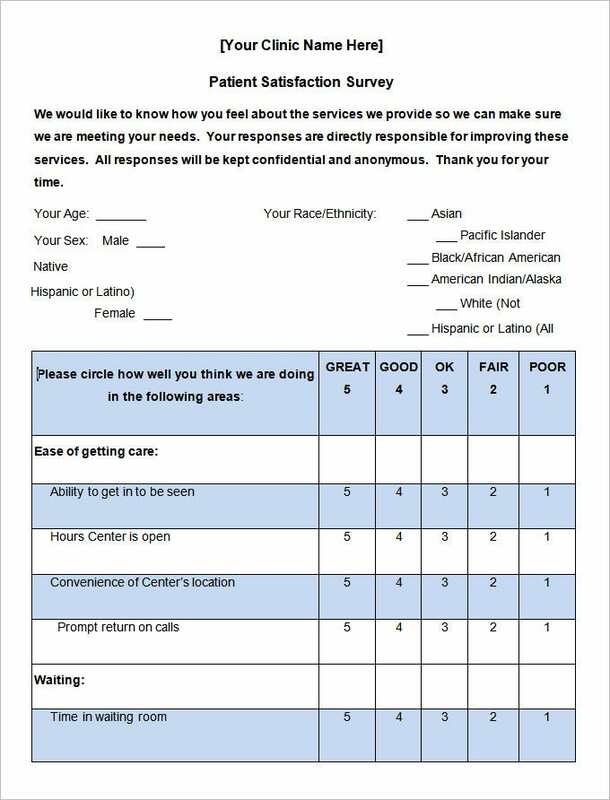 You can also customize these templates and use them for collecting basic feedback about a particular doctor, nursing staff, or reception employees to improve your services and serve the community in a better way. What Does a Patient Satisfaction Survey Template Consist of? A patient satisfaction survey is designed based on the company’s necessity. Before you download one of the sample patient satisfaction surveys that we have got for free, you should know what a plan such as that is usually made up of. Here are all the components of a patient satisfaction survey template listed out. The details of the patient who is taking the survey are listed out to be filled. The questions that need to be answered are then listed out. 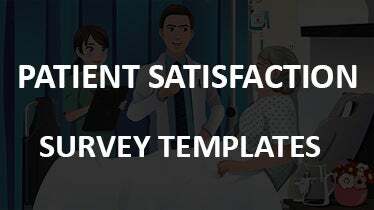 We have collected wide range of Patient Satisfaction Survey Templates, hope these word templates will help you. Why Downloading This Template is Necessary? Patients can easily list down the pointers about how they feel about the quality of care, the level of services they’ve got at your hospital, and point out the safety issues that they’ve faced during the treatment period. 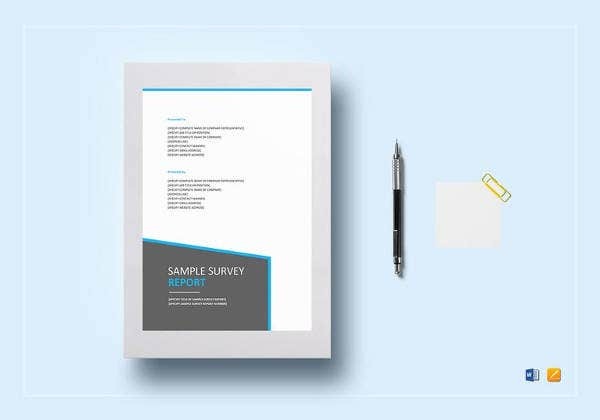 Using these templates you can easily create a detailed patient satisfaction survey to gather all the information that you need before starting off with an improvement plan. A detailed patient satisfaction survey should always be directed towards meeting company’s necessity and improvements. The survey must include details of the patients who has taken treatment in that particular hospital, his/her duration of stay or visits, doctors aligned to the patient, along with some blank spaces to help them present their actual feelings about the treatment with ease. 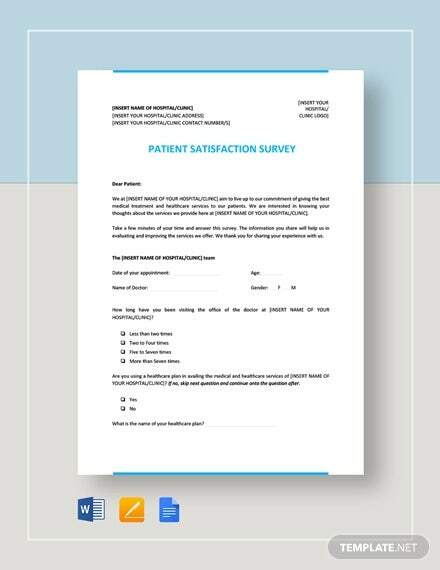 All of these templates are available to help you create patient satisfaction surveys with ease. Since all of these templates are easy to edit and modify, you can download any of them, get it customized as per your preferences, and then take print outs to ask your patient fill out their experienced stories before they leave the hospital premises. If you have any DMCA issues on this post, please contact us!